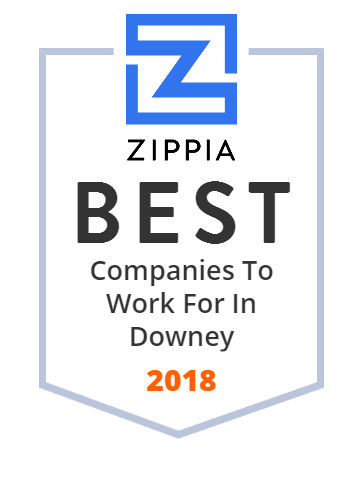 We hand-curated a list of the best companies to work for headquartered in and around Downey, CA using data on salaries, company financial health, and employee diversity. Meruelo Enterprises, Inc., through its subsidiaries, provides planning, construction, engineering, design, and management services for public and private projects primarily in California. The company offers mass transit construction, water infrastructure upgrades, underground/overhead utility installation and repairs, electric and water utility, electric systems reliability upgrades, solar plant construction, building modernization and efficiency upgrades, commercial building construction, transmission, distribution, substation, energized services, engineering/design services, emergency response, pipeline construction (oil, gas, and water), civil and site work, and hydrovac and day lighting services. The company also constructs light rail stations, railroad signaling systems, intelligent transportation systems, toll roads, fiber-optic systems, traffic signals, freeways, and street and airfield lighting systems. In addition, it offers due diligence, cost estimating, and project and construction management services for residential, commercial, retail, and wireless communication projects. It serves gas, electric, water utilities, transit construction services, and high-tech installations; power construction and design, telecommunications, oil/gas transmission, and distribution industries; and public utility companies. The company was founded in 1999 and is based in Downey, California. Meruelo Enterprises, Inc. operates as a subsidiary of Meruelo Construction. IndyMac, a contraction of Independent National Mortgage Corporation, was an American bank based in California that failed in 2008 and was seized by the United States Federal Deposit Insurance Corporation (FDIC). We will assist you with planning your entire event, from beginning to end. Our event planners will guide you all the way through your event. Home of the Gigante! 32 Slices of Deliciousness. Pizza Loca is one of Southern California's largest independent pizza restaurants.